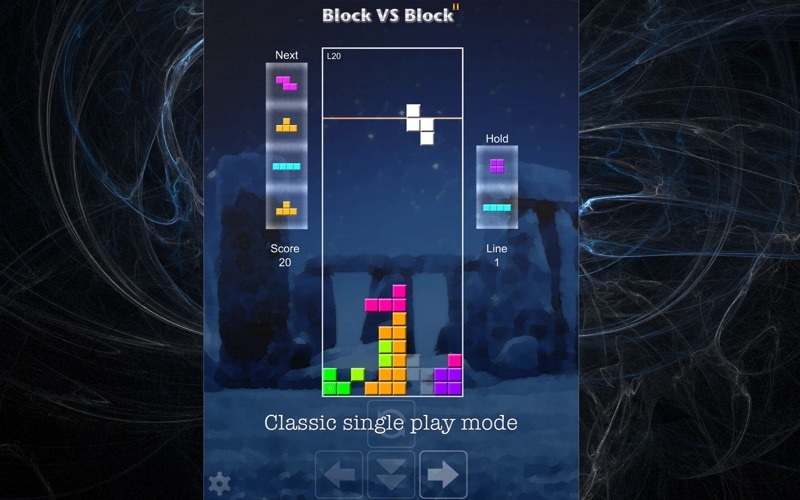 It is the world most attractive puzzle game, many people play Block vs Block II day by day never stop. How to play this game? We are no need to explain. Everyone know it. 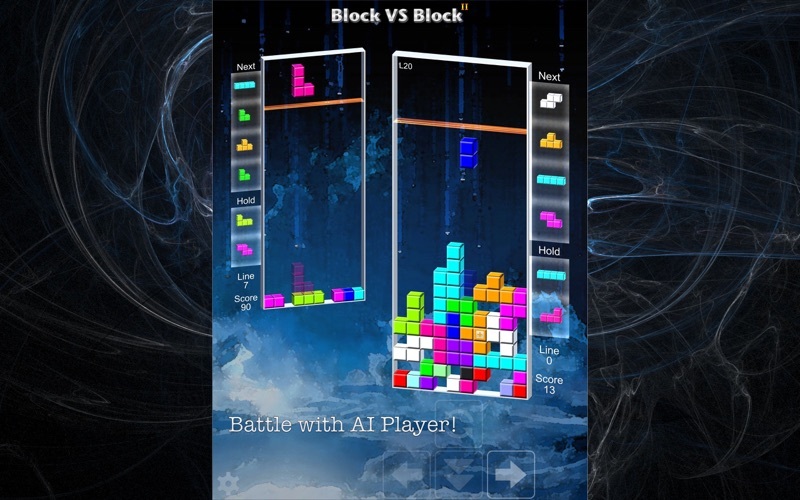 We offer a very powerful AI player playing with you. 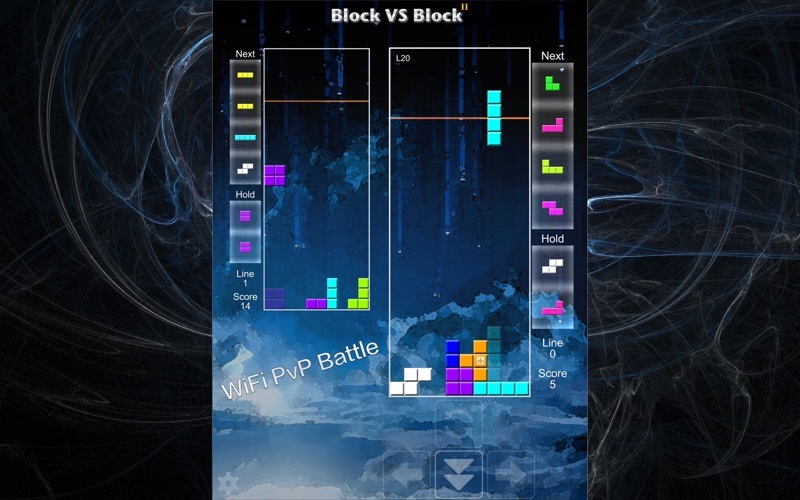 And, Block vs Block II has WiFi PvP mode for 2 play! You can use two phone or pad to battle. By the way, the PvP battle is cross-platform, and it only work for two devices on same WiFi network. 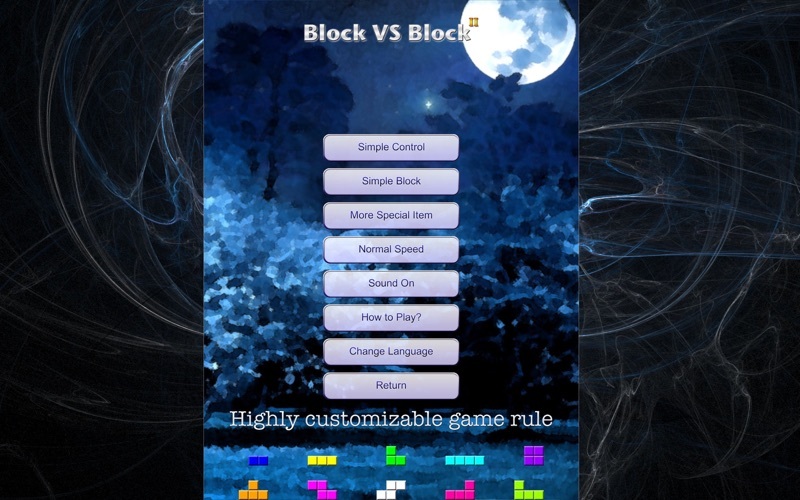 Five years ago, we develop a First Generation game "Block vs Block", which has over 5 million download. 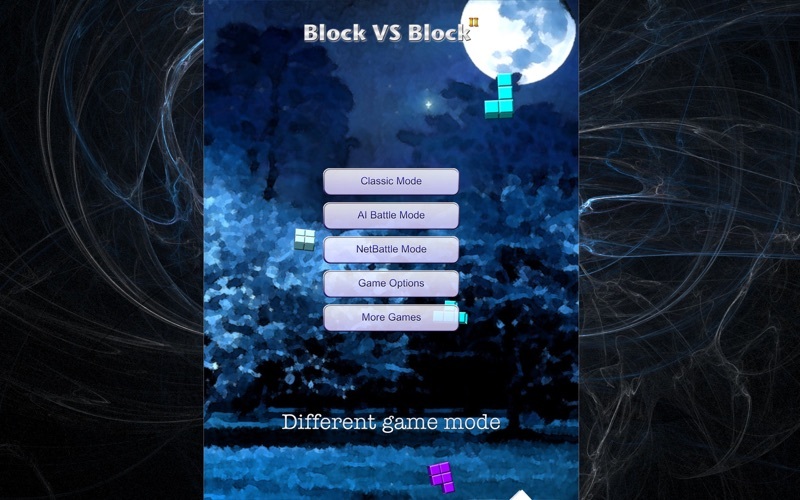 This game "Block vs Block II" is improved version, we have rewritten everything. This game is using different game engine and we improve the graphic and AI. Also it allow us to add cross-platform network battle.